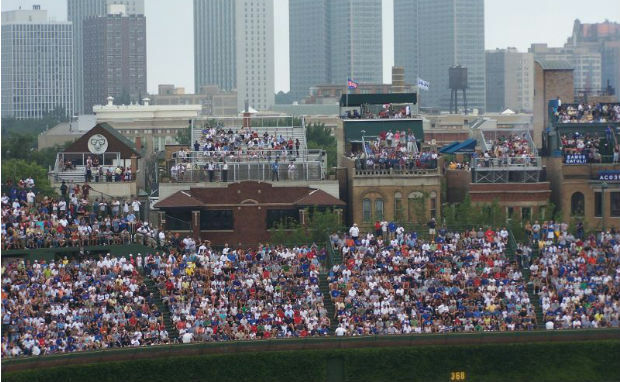 It's often said that "Chicago is a city of neighborhoods." This may seem redundant—isn't every city a city of neighborhoods?—but Chicago really is a big, wonderful amalgamation of unique enclaves. Where do the names for all these neighborhoods come from? We sought to find out. The Chicago History Museum's Encyclopedia of Chicago and the Chicago Park District's parks database were extremely helpful resources for this—be sure to check them out. After the Chicago Fire, many of the city's Swedes moved to this area on the North Side to rebuild their lives. 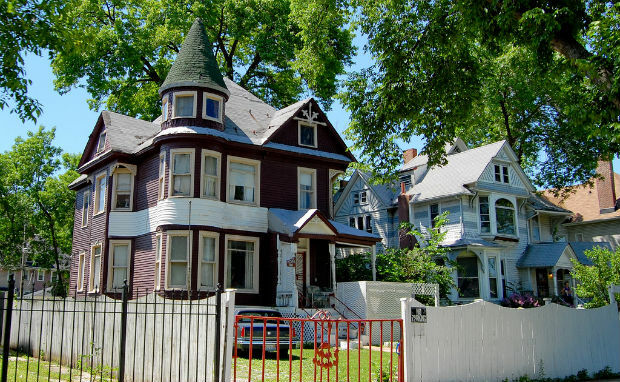 It's believed that the neighborhood is named after Reverend Paul Andersen Norland, who was integral in attracting folks to join the community during its early years (neighborhood's pros: not engulfed in flames). Named after Archer Avenue, which itself is named after William Beatty Archer, the first commissioner of the Illinois and Michigan Canal. Not the most glamorous of origins, but in the 1800s, Chicago families would dump their furnace ashes in this area, and the name "Ashburn" stuck. Named for Henry W. Austin, the real estate mogul who acquired and subdivided the land in 1866. The area was originally in the township of Cicero. Austin held the most power in that municipality, and its politicians brought major roads and elevated trains to the neighborhood. The other Cicero citizens objected and voted to expel Austin and have it annexed into Chicago. Un-fun fact about Henry W. Austin: He was an ardent temperance advocate and worked to ban all saloons and liquor sales within his community. This neighborhood was originally named "Pennytown" for Penny, a local general store owner who sold popcorn balls. The area's Avalon Park Community Church lobbied to have the name changed, and Pennytown—and Penny's popcorn balls—are no more. Named for its location in relation to the famed Union Stock Yards, this neighborhood was home to most of the Yards' workers. It's where the hog butchers for the world rested their heads at night. There is some argument about whether this neighborhood is named after Beverly, Massachusetts, or Beverly Hills, California. 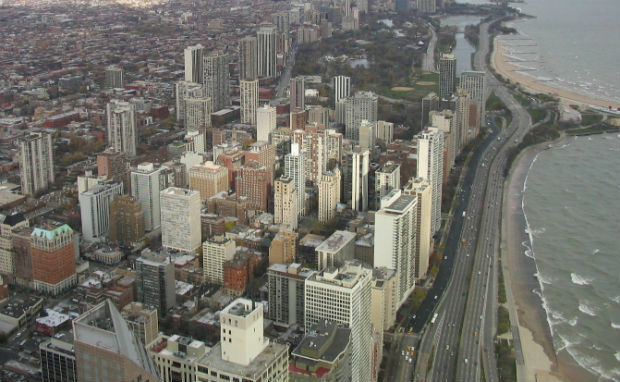 It's often referred to as "Beverly Hills" because it sits on a glacial ridge that, at 672 feet, is the tallest natural point in Chicago. 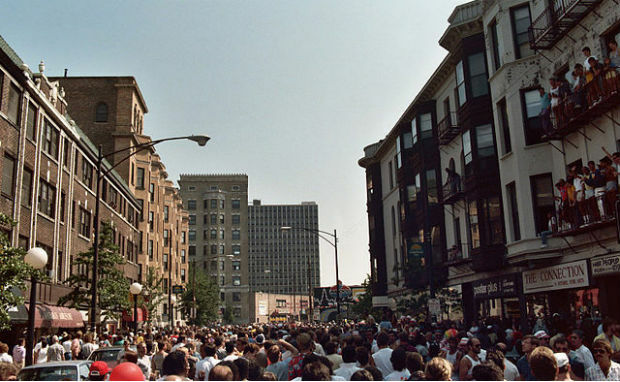 This informal, colloquial name for the LGBT community area that stretches along North Halsted Street started being used in the 1970s, around the time of the first Gay Pride Parade. This area was a fur trading outpost named "Hardscrabble" for years until it officially became the town of Bridgeport in 1836. Some insist that it's named after a bridge that spanned a canal on or near Ashland Avenue. There are no records of this bridge ever existing, however, leaving some to doubt this explanation. This area on the South Side was apparently named "Bronzeville" by Chicago Bee theater editor James J. Gentry because he said it reflected the skin tone of its residents. Early Polish immigrants raised goats in the area and called it "kozie prery," or "goat plain." That name evolved into "Bucktown," as "buck" is the term for a male goat. No goats remain today, of course (unless they're served in gourmet tacos). Illinois Central Railroad built a station in the area and named it after Civil War General Ambrose Burnside (who also worked as the railroad's treasurer). Colonel W.W. Jacobs subdivided the neighborhood in 1887 and named it after the station. Depending on who you ask, this neighborhood is named either for the sparrows which populated it or for roving gangs of violent teens, dubbed "wild canaries" in the late 1800s. Either way, it was wise to keep your head on a swivel. This park and housing development was planned in the 1970s and takes its name from General Henry Dearborn, Thomas Jefferson's Secretary of War. Named after Stephen A. Douglas, who is most famous for his participation in the Lincoln-Douglas debates. Cook County originally purchased this property in 1851 to build a "poor farm," insane asylum, and tuberculosis hospital. After the Civil War, a man named Andrew Dunning bought a tract of land to the south of this area to plant a nursery. 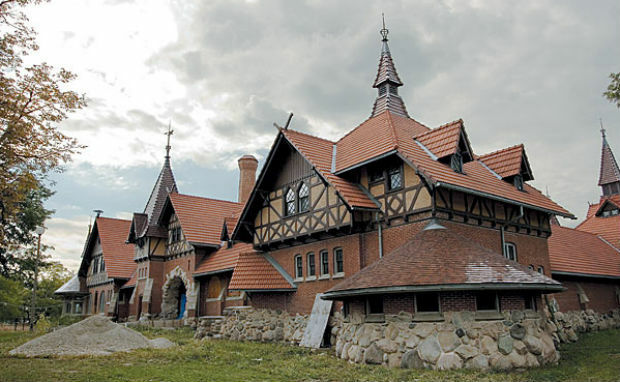 In 1888, the hospital and asylum were bought by the city after they found gross mismanagement. The entire area, including Dunning's plot, soon took his name as redevelopment began. The park that this neighborhood is named after was originally called "Central Park" when it was built in 1869. After President James A. Garfield's assassination in 1881, the city changed that, and the area to the east developed into East Garfield Park. The "brook" that this area edges is actually the North Branch of the Chicago River. Edgebrook was plotted in 1894 to be a golf course-adjacent suburb. The course remains, although the suburb has long since been absorbed by Chicago. Etiquette states that you should wait for someone to die before you name your town after them, but in 1890, the citizens of Edison Park eschewed manners and named their village after the very-much-alive inventor. Given that nobody loved Thomas Edison more than Thomas Edison, he gladly gave the township his blessing. This neighborhood was originally named "The Junction" because of its railroad crossing. But after Henry B. Lewis, a wool and grain merchant, moved to the area in 1867, he and his wife convinced residents to start calling the neighborhood "Englewood," inspired by the New Jersey town. Fernwood Village was founded by Dutch farmers and they named it after the surrounding woodland. (You see, it was full of ferns.) The village was annexed into Chicago in 1891. Named after Melville Fuller, a Chicagoan and Chief Justice of the United States Supreme Court from 1888 to 1910. South Park Commissioner George W. Gage died in office in 1875 while developing this park. The city soon honored his memory by naming it after him, and the surrounding neighborhood eventually followed suit. A section of 55th Street, which runs through the neighborhood, was renamed Garfield Boulevard to honor President Garfield after his assassination. Named after British Prime Minister William Gladstone. Gladstone served in the office a record four separate times which, in Chicago, is considered short-term. This North Side area along Lake Michigan was originally called "The Astor Street District," taking the name of John Jacob Astor. Astor didn't actually live in Chicago, but the residents so desperately wanted to project an air of wealth that they used his name anyway. It worked, and when a section of Lake Shore Drive opened in 1875, rich families began building homes in the neighborhood. The community officially became known as the "Gold Coast" at the turn of the century. Goose Island is an actual island located in the North Branch of the Chicago River. It was created when William Ogden, Chicago's first mayor, built an auxiliary canal to facilitate shipping routes. The name "Goose Island" comes from a separate, smaller island in the river, but the name was soon attached to the man-made land mass when Irish squatters moved from the old island to the new one. The term comes from the abundant geese they hunted. This area is named after the former moniker of its main thoroughfare. The road was briefly changed from Grand Boulevard to South Park Way before being renamed Martin Luther King, Jr. Drive in 1968. This area has its roots in a railroad company dispute, or "frog war." Both Illinois Central and Lake Shore & Michigan Southern Railroads laid claim to the real estate. Roswell B. Mason, a future Chicago mayor and executive for Illinois Central Railroad, secretly put tracks over some of Lake Shore & Michigan Southern's rails using an illegal connector. In 1853, two trains crashed, killing eight and injuring 40. During the aftermath, real estate developer Paul Cornell came in and used the site of the deadly intersection to build a new suburb. 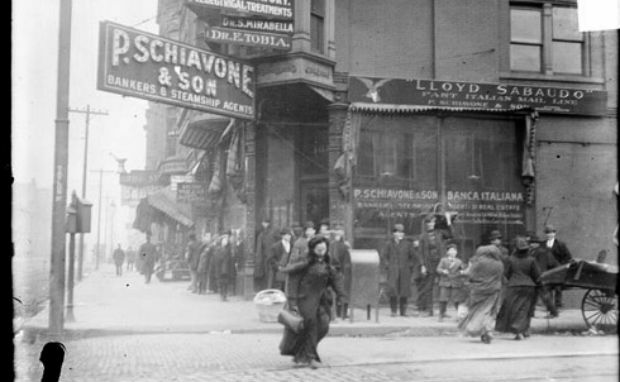 Greek immigrants came to Chicago in the 1840s as ship captains and started selling food and opening restaurants in this Near West Side neighborhood. 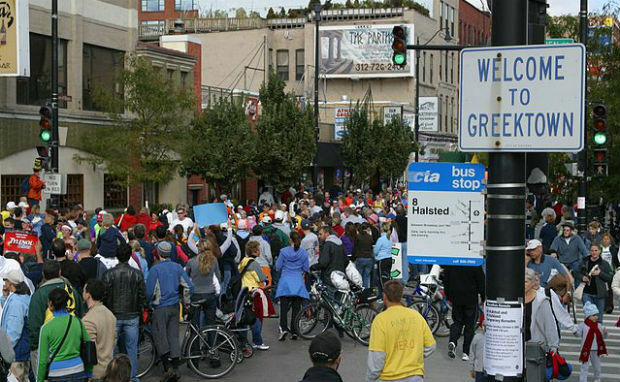 The Eisenhower Expressway displaced the community in the 1960s, but it regrouped a couple blocks north and retained the name "Greektown." This park was designed by the Olmsted brothers and planned by Henry Burnham. It opened in 1904 and was named after Alexander Hamilton. Adolph Hegewisch, president of the U.S. Rolling Stock Company, aimed to develop a workers' utopia and established the community in 1883. He also moved his factory to the area to facilitate growth. Your daily Adolph Hegewisch fun fact: During WWII, Hegewisch's first name started to appear as "Achilles" in texts and histories, either as an honest mistake or as a deliberate attempt to distance the man's legacy from Hitler. In 1889, the city of Chicago annexed this area, which was part of Garfield, and changed the name to Hermosa, Spanish for "beautiful." No one knows why, but everyone agrees it's very nice. John Lewis Cochran, our friend from Edgewater, named Hollywood Avenue after that Hollywood (he lived in California for part of his life). 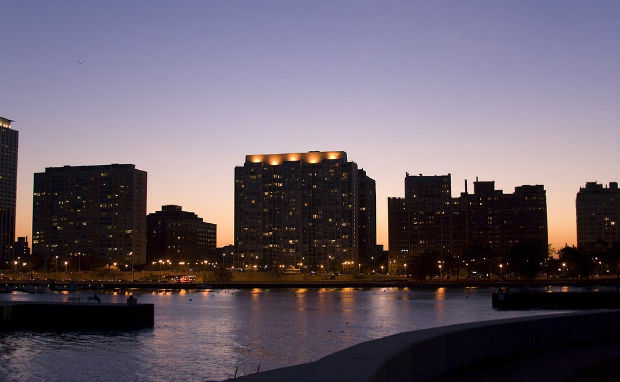 In 1853, Paul Cornell (the cousin of Cornell University founder Ezra Cornell) bought 300 acres of land by Lake Michigan and named it "Hyde Park" after the location in London. Charles T. Race, who bought the land, named it after Washington Irving, the author of The Legend of Sleepy Hollow. The Island is actually a metaphorical island. 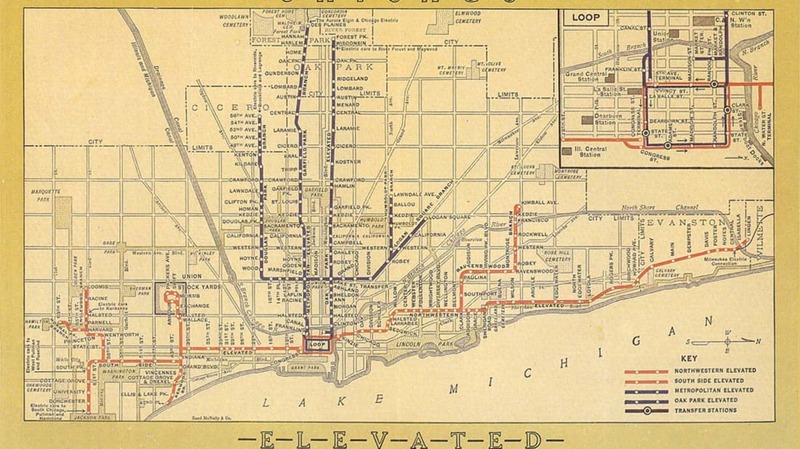 When the neighborhood was built, there were three rail lines that made up its north border. To the south and west are suburbs (Cicero and Oak Park, respectively), and to its east is an uninhabited factory area. Jackowo gets its name from the Polish spelling of Saint Hyacinth's Basilica (Bazylika Św. Jacka) at the center of the neighborhood. Named for the hill that overlooks Jackson Park (which itself was named after President Andrew Jackson). Originally named "South Park," Jackson Park was home to the World's Columbian Exposition. 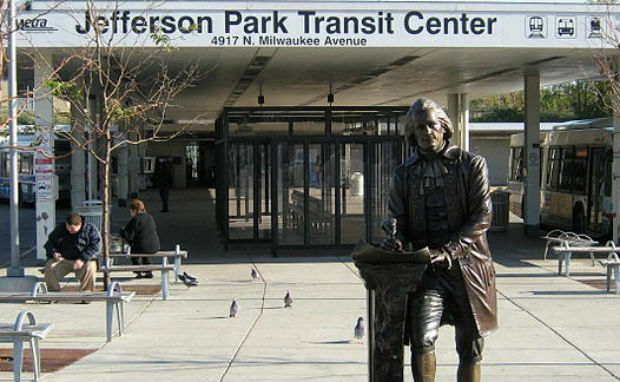 Originally called "Jefferson Township," this independent area was named after Thomas Jefferson and was separate from Chicago until 1889 when it was incorporated by the city. 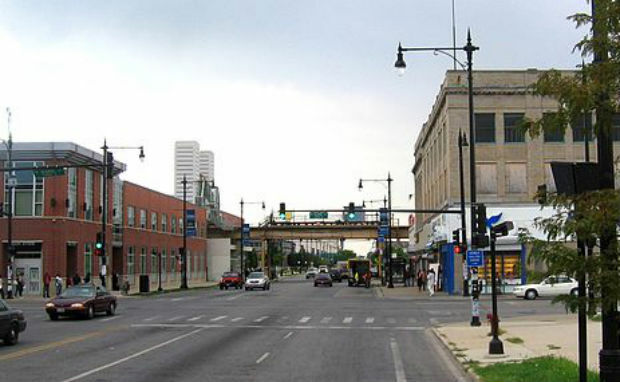 This part of North Lawndale gets its name because of all the streets in the area that start with the letter "K"—Karlov, Kedvale, Keeler, Kenneth, Kilbourn, Kildare, Kolin, Kolmar, Komensky, Kostner, and Kilpatrick, to name a few. The park was named after the surrounding subdivision, which was named for British physicist William Thomson Kelvin. Kelvin is most famous for calculating absolute zero (-273.15 Celsius), which comes in handy in Chicago quite often. Dr. John A. Kennicott, one of the first homeowners in the neighborhood, named the area after his family's territory in Scotland. Named after Kilbourn Street, which honors a city in Wisconsin that is now more commonly known as water park dystopia Wisconsin Dells. "The Land of Koz" was dedicated to Thadeuz Kosciuszko in 1916. Kosciuszko came from Poland to assist the Americans during the Revolutionary War and became a brigadier general. Named for the Hotel Lake View, which was built in 1854 on what is now the convergence of Sheridan Road and Lake Shore Drive. John Lewis Cochran—of Edgewater and Hollywood Park fame—purchased the land in 1885 and named the streets after train stops from outside his home town of Philadelphia (hence "Balmoral"). Lincoln Park was originally a cemetery for cholera and smallpox victims. Shallow graves located so close to the city's water supply rightly raised some alarms, so Chicago began converting it into a massive park called "Lake Park" in the 1860s. After Abraham Lincoln was assassinated in 1865, the park was renamed in his honor. This area was originally known as "Celeryville" or "Pickletown" in the 1800s. At the time, proud farmers claimed that it was the celery capital of the United States (woohoo!). Eventually, the cluster of neighborhoods around Celeryville and Pickletown took the name of the main commuter road that ran through it, Lincoln Avenue. This area (also known as University Village for the UIC campus) was once home to nearly all of Chicago's Italian immigrant population. A square located at the center of the neighborhood is dedicated to John A. Logan, a Civil War general and politician who is credited with popularizing Memorial Day. 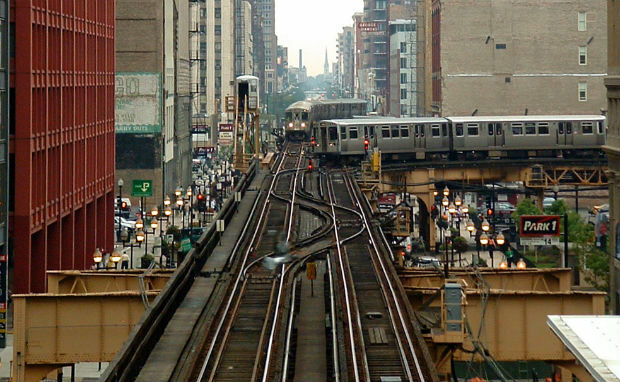 Chicago's main business district is named for the circular route taken by the L lines that service it. This park was under development in 1901 when President McKinley was assassinated. The park and the neighborhood that surrounds it took his name. In 1879, George Waite developed Mount Greenwood cemetery and planted dense plots of beautiful trees. 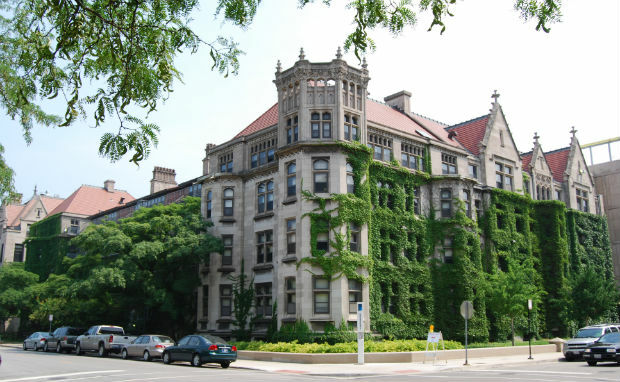 The surrounding area became known as Mount Greenwood too, and the neighborhood was annexed into Chicago in 1927. 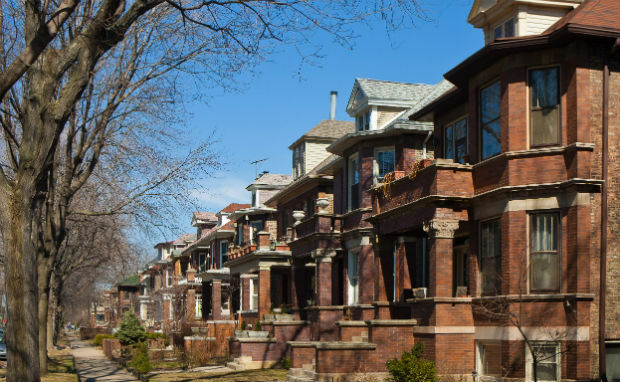 This neighborhood gets its name from University of Chicago sociologists who drew up boundaries for new community areas in the 1920s. Why "New City?" Because they're sociologists, not poets. Named for civic leaders Mark and John Noble. The square that was built in the area was part of a controversial Department of Urban Renewal development that displaced many residents. 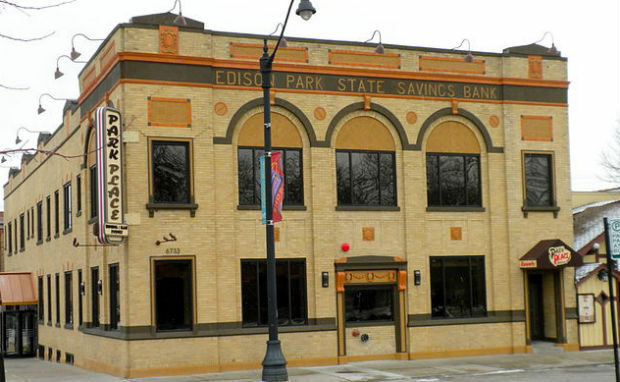 Shortly after Cicero was incorporated into Chicago in 1869, Alden C. Millard and Edwin J. Decker quit their stationery business to develop real estate in this new area. They chose the name "Lawndale" and pumped money into the neighborhood by building a hotel, shops, and housing. The two were bankrupt by 1876. The "park" this area refers to is Peterson Park (named after Swedish community leader Pehr Samuel Peterson), which was purchased by the city and turned into the Chicago Municipal Tuberculosis Sanitarium in 1911. While it doesn't sound like it'd be beautiful, the city purposely preserved the area's natural features to use as a buffer between the patients and the rest of the city. What is currently the Nature Center served as a Sanitarium building until the 1970s. 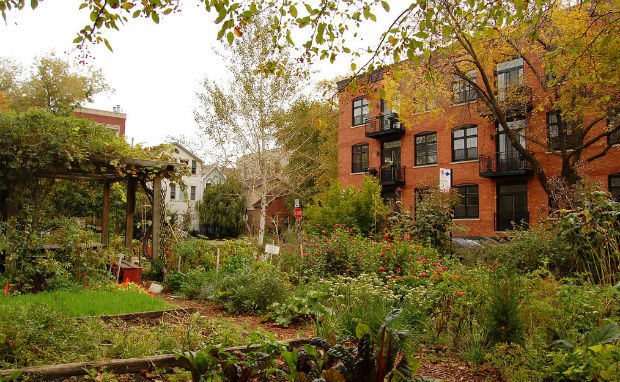 The area remains lush because community activists successfully fought a plan to turn it into bland strip malls and condo buildings in the 1980s. This area—incorporated into Chicago in 1874—was named after Norwood, or Village Life in New England, a book by Henry Ward Beecher. You can read the novel here (feel free to leave your book report in the comments). 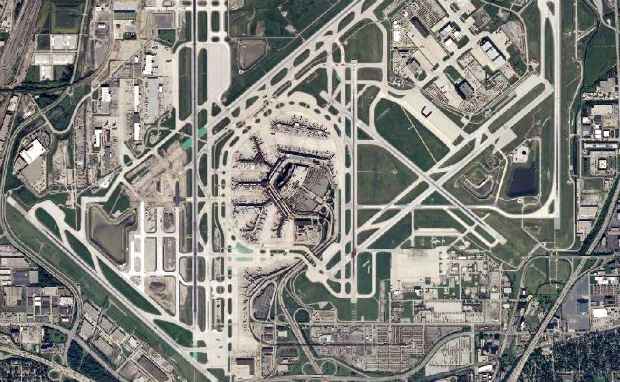 O'Hare International Airport (and its surrounding neighborhood) was named after Edward "Butch" O'Hare, a Chicagoan and WWII Navy aviator. O'Hare received a Medal of Honor in 1942 for single-handedly attacking a squadron of advancing Japanese bombers while defending the Lexington. He was killed in battle a year later during a night interception mission. The city renamed Old Orchard Depot Airport for him (that's why the airport code is still "ORD"). 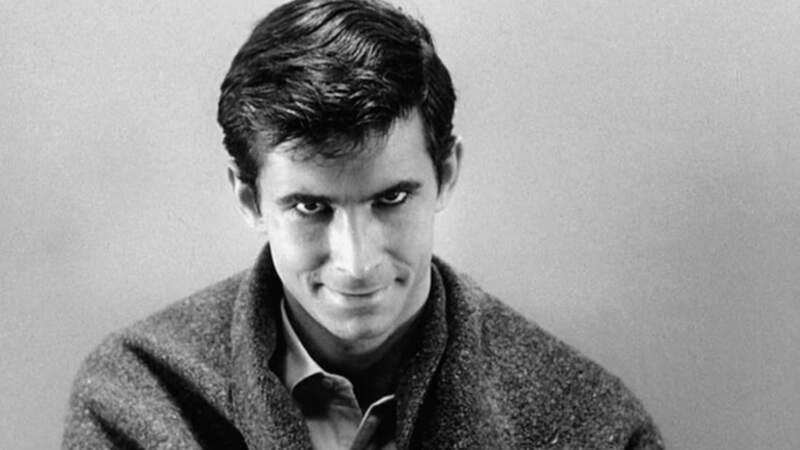 His father, Edward J. O'Hare, was one of Al Capone's lawyers and advisors. The elder O'Hare eventually turned important information over to the government that helped send Capone to jail for tax evasion. In 1939, Edward J. was assassinated by two shotgun-wielding henchmen on the West Side, near Douglas Park. That info should give you plenty of small talk fodder for your next delay at O'Hare. 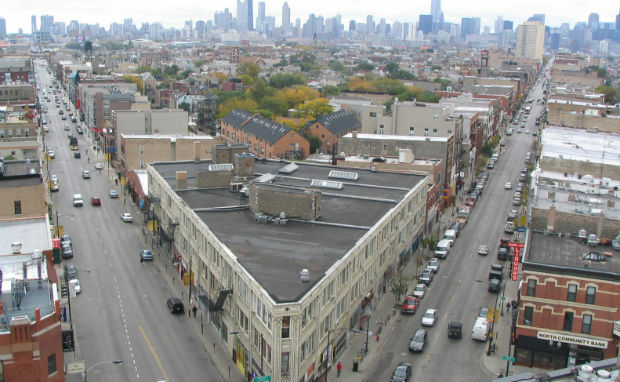 During World War II, the triangle made up by North Avenue, Clark Street, and Ogden Avenue was designated as a "neighborhood defense unit" by Chicago's Civil Defense Agency. After the war, the residents stayed closely bonded and threw community art fairs, calling them “Old Town Holidays.” The name "Old Town" stuck. 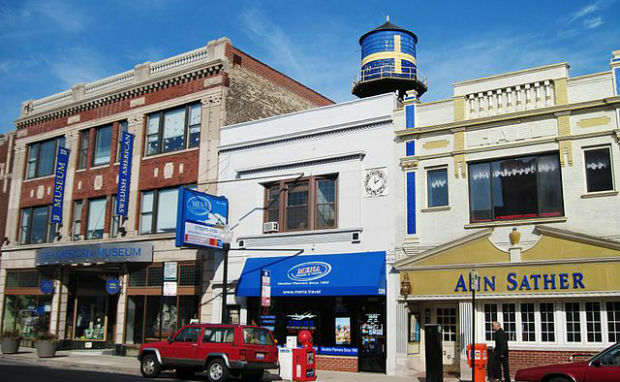 This tiny area located within Logan Square is named for Potter Palmer, a successful early Chicago businessman who opened a dry goods store in 1852 and eventually sold it to Marshall Field. This rhyming South Side enclave was named for all the doctors who called the neighborhood home. Manufacturing jobs brought thousands of immigrants to this area in the 1870s. Many were Czechs, and they came to call the area "Plzeň" after the second-biggest city in West Bohemia. 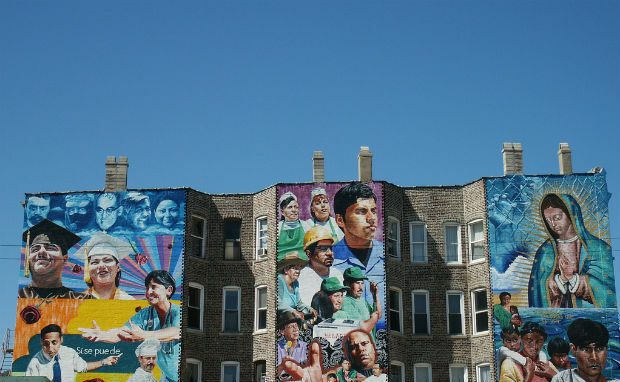 The name soon morphed into "Pilsen," which persevered. Polish Downtown essentially served as a capital of sorts for Polish immigrants soon after they started moving to the United States. During WWI, the movement to create a free Poland was started and ran from this neighborhood. Originally a park district (the park in the center of the neighborhood remains), this area is named for the nearby portage routes used by fur traders and Native Americans between the Des Plaines and Chicago Rivers. Printing and publishing houses dominated this area for a century, starting in the late 1800s. Most of the remaining buildings have since been converted to residential use. 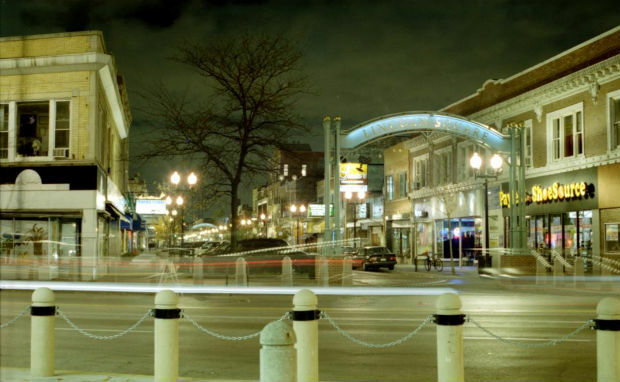 This neighborhood within West Town is named after its park, which was dedicated to Casimir Pulaski, a Polish nobleman and cavalry commander who fought and died for the Americans during the Revolutionary War. Pulaski is a name that comes up a lot in Chicago, so study up on him. Industrialist George Mortimer Pullman purchased 4000 acres of land south of Chicago to develop a town for the men and women who built his company's luxury railroad sleeping cars. 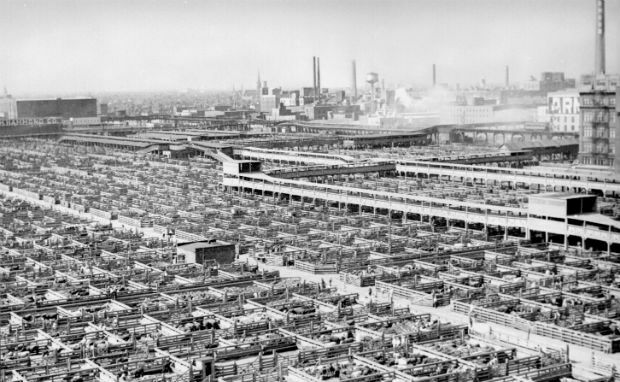 Pullman Town was an initial success, offering workers affordable housing and providing a safe, private community away from the distractions of the city. Soon, Pullman's paranoia took over, and residents were subjected to random house searches and draconian limits on free speech and worship. 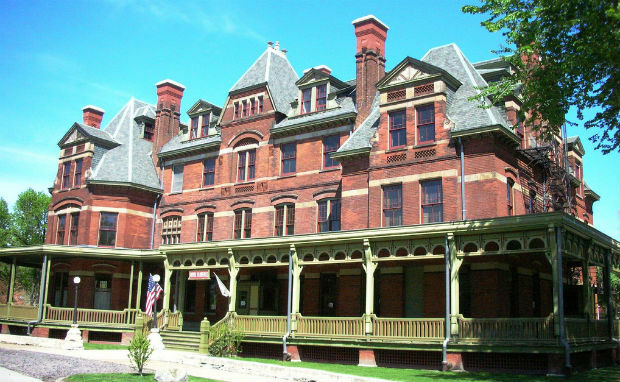 According to the Pullman State Historical Site, employees took to saying, "We are born in a Pullman house, fed from the Pullman shops, taught in the Pullman school, catechized in the Pullman Church, and when we die we shall go to the Pullman Hell." After Pullman cut wages but kept rents at the same levels, workers went on strike and the Illinois Supreme Court ordered that Pullman Town be annexed into Chicago in 1898. George Mortimer Pullman died of a heart attack shortly thereafter. 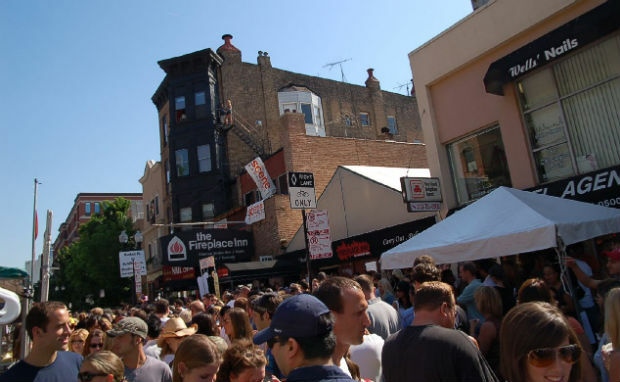 This neighborhood began as one of the city's first suburbs in 1868 when the Ravenswood Land Company, a group of businessmen and developers, started buying up land for residential use. This area along the north branch of the Chicago River was known for years as "Smokey Hollow" because of the factories that linked to the waterway and nearby railroad tracks. After the area's main port moved in the 1920s, this riverside district became a seedy hub. 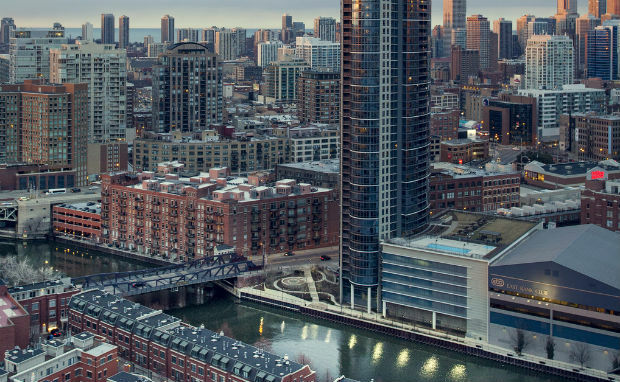 Still, the location was desirable enough for eager developers, and in the 1970s, real estate mogul Albert Friedman thought to rename the area "River North." It worked, and yuppies eventually followed. In 1835, George Dolton settled in this area alongside the Calumet River near a Potawatomi Indian reservation. He built a toll ferry, which became known as the "Riverdale Ferry." A bridge soon followed, and the area was called both "Dolton" and "Riverdale" for years as it became an industrial epicenter. Early settler Philip Rogers bought this lakeside land in 1836 for $1.25 an acre. His son-in-law Patrick L. Touhy developed the area and started its rise to the bustling residential community that would eventually be incorporated into Chicago. While not 100 percent verified, it's assumed that this neighborhood name comes from John Lewis Cochran, again. Like Balmoral, Roscoe Street was probably named after a train stop outside of Philadelphia because Cochran's creativity was boundless—within the limits of Philadelphia train stations. 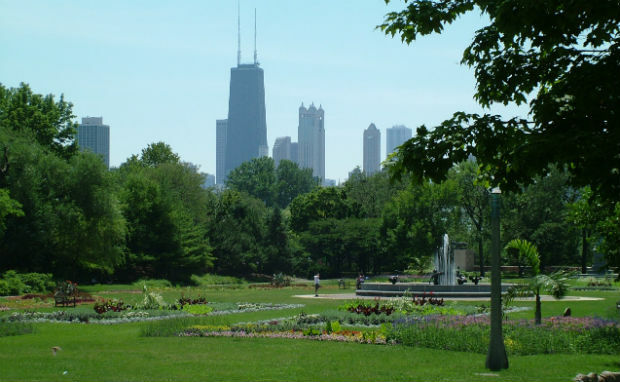 Settled by Dutch farmers, this fertile and lush area full of flowers was dubbed "Roseland" in 1873 by James H. Bowen, the president of the Calumet and Chicago Canal and Dock Company. Potawatomi chief Sauganash was born in Canada in 1780 to a Wyandot mother and an Irish father. Sauganash means "The Englishman." He moved to Chicago in 1820 and became a prominent citizen during the city's early days and was elected a justice of the peace. The government granted him a 1200-acre reservation along the Chicago River, and part of this area bears his name to this day. Sheridan Park was named in honor of Civil War hero Philip Henry Sheridan in 1912. Sheridan was a successful Union Army cavalry commander and was the subject of Thomas Buchanan Read's poem "Sheridan's Ride." Named for 32nd ward Alderman Joseph Higgins Smith in 1929 (who was the alderman of the area from 1914 to 1933). This area was originally named "Irondale" for its many steel mills. The village was bought up in 1902 by the International Harvester Company and further developed by the Deering Harvester Company, who inspired the new name. "Cap" George Wellington Streeter was a boat captain along the Mississippi River and a classic, big-time jerk. Legend has it that he and his wife "Ma" Streeter were cruising in their boat around Lake Michigan in 1886 when they hit a sandbar. (Others maintain Streeter deliberately crashed his boat into the shoreline.) Perfectly comfortable in their precarious position, the couple decided to stay put. Silt accumulated around the ship and soon a land bridge connected them to Chicago. 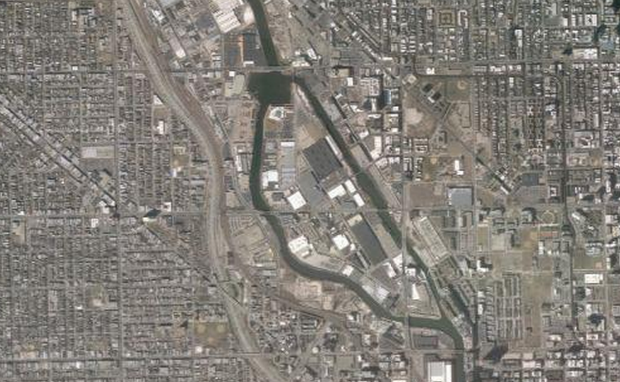 At that time, the city was filling in the lake in that area to build Lake Shore Drive. Cap Streeter was having none of Chicago's crap and he defended the swampy dump around his boat with a shotgun. Aided by the liquid courage he was known to pull from liberally, "Cap" had multiple standoffs with authorities before finally being arrested and tried. Despite having the land stripped from him by the court, Cap had the last laugh: The neighborhood is named after him to this day. 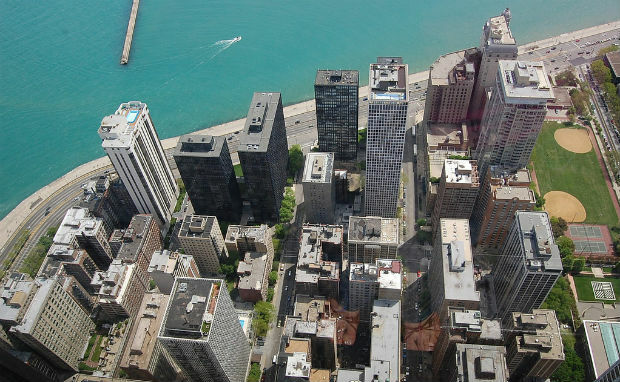 Tens of thousands of years ago, glacial runoff formed Lake Chicago, which spread over the entirety of the modern-day city. Stony Island was an actual rocky island that eventually poked to the surface when the waters began to recede. In the 1920s, the "island" (which was just a boulder-covered hill) was destroyed to make way for drainage systems and a road, which is all that remains. The triangular convergence of avenues at the western end of Taylor Street gives the area the name "Tri-Taylor." After the Great Fire, this area was mainly inhabited by German immigrants. 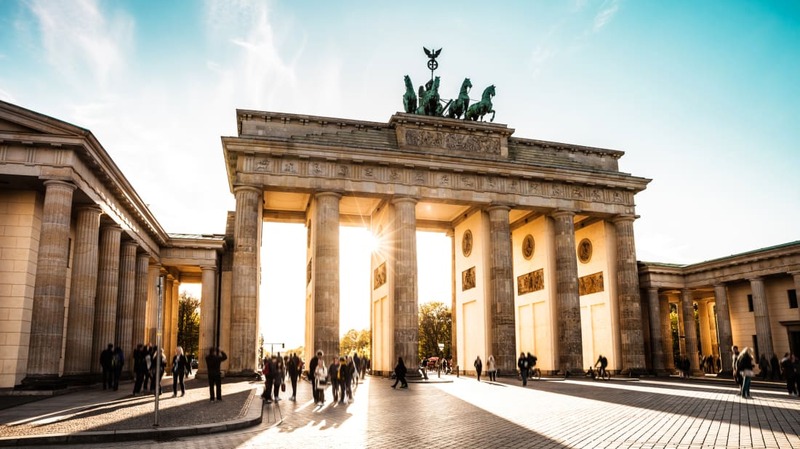 In the early 20th century, Russian, Ukrainian, and other European residents started to call the neighborhood home, and by the end of WWI it was primarily an enclave for Ukrainians. 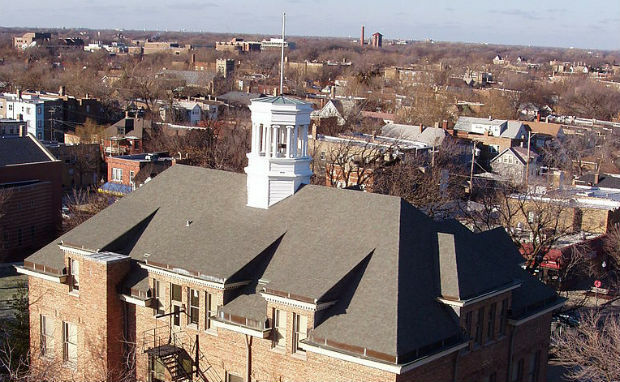 In 1983, Chicago Mayor Jane Byrne designated Ukrainian Village as an "official neighborhood," the first such location in Chicago to receive this honor. For most of Chicago's early history, this neighborhood was the northern terminus for commercial rail lines. It became a popular shopping destination, and wealthy Chicagoans soon flocked to the area and bought up residential property. Like its neighbor Jackowo, Wacławowo is named for the local parish, St. Wenceslaus Church (Kościół Świętego Wacława in Polish). Real estate developers James Webb and John F. Eberhart founded West Lawn on sprawling marshy lands in 1877. The village was annexed to Chicago in 1889. Brothers Charles G. and Joel H. Wicker owned a subdivision in Chicago and in 1870 they gave a small area of it to the city. It was sectioned off so cattle couldn't graze on the fertile land, and soon a neighborhood sprouted around the park, which took its name from the men who donated it. *This will not be their year. We're slowly working our way across the country. See how the neighborhoods in other cities got their names.